Bee pollen grains are sweet-tasting tiny golden granules. They are made from the nectar that bees carried to the hive after they pollinated a flower. Each pellet has over two million flower pollen grains, with a teaspoon containing over 2.5 billion grains of flower pollen. Bee pollen can be used to bolster endurance, body definition, muscle development, recovery from fatigue, speed, and strength and agility. Coaches and athletic directors said bee pollen can help improve athletic performance. In fact, the British Sports Council said athletes who regularly ingested bee pollen showed a 50 percent improvement in their athetic ability. Bee pollen has anti-allergy properties. It lessens histamine production, thus helping to alleviate symptoms of allergies and hayfever. For best results, take bee pollen six weeks before the hayfever starts and all throughout that season. 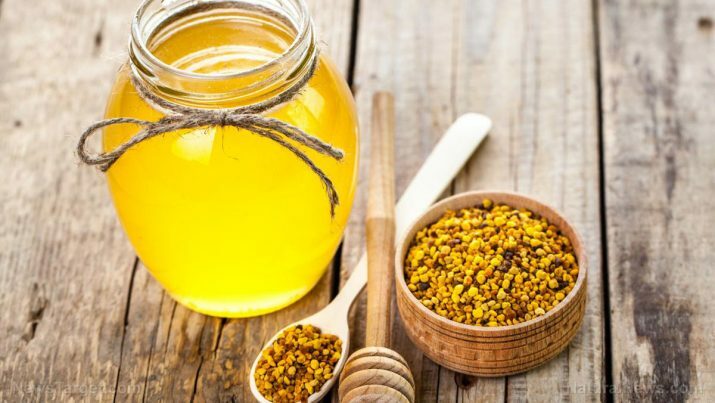 Since bee pollen helps in tissue growth and repair, ingesting it can help prevent dehydration and stimulate blood supply to skin cells, thus helping prevent the instances of premature aging and providing for healthy and glowing skin. It can also be used to treat acne, blemishes, eczema, and psoriasis. Bee pollen is said to support long life. A Russian study in 1945 analyzed key factors that contributed to the long life of 150 Russian centenarians; it was found out that lack of occupational stressors and proper diet – one that includes honey and bee products – contribute to longevity. Bee pollen increases the speed of metabolism, helps control cravings, eradicates fat from the body, and guards it against low-density lipoprotein (LDL) or “bad” cholesterol. Bee pollen has anti-inflammatory and antioxidant properties. Since bee pollen acts as a whole set of antioxidants, it contains the combination of the powers that flavenols, resveratrol, lycopene, and vitamins A, C, and E have, and counteracts the harmful effects that oxidants such as pollution and cigarette smoke have on the body. Bee pollen is good for the liver, whose responsibility it is to get rid of toxins from the body. Bee pollen is a natural stress-reliever, and is also used to speed up recovery from certain illnesses. Bee pollen has antimicrobial, antifungal, and antiviral properties. The protein in bee pollen helps in facilitating the growth and repair of the body including the circulatory and nervous systems. It stimulates the production of red and white blood cells. Bee pollen is good for the female preproductive system. It helps ease symptoms of menopause and stimulate ovarian functions, thereby aiding in a healthy pregnancy. Bee pollen is good for the immune system. 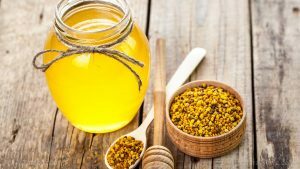 According to a study from Romania, bee pollen increases the level of proteins, blood lymphocytes (a type of white blood cell that kills infections, bacteria, viruses, mutated cells, metabolic waste, etc., in the body), and gamma globulins (a substance that contains antibodies) in a person’s constitution. Bee pollen can be added to yogurts, oatmeal, or smoothies. You can also use it as a face mask by mixing it with whole or coconut milk, raw honey, and mashed avocado. However, you should not use bee pollen if you’re allergic to bees or bee stings, as you are vulnerable to the same allergic reactions – such as difficulty in breathing, itchiness, lightheadedness, and swelling – once you ingest bee pollen. For recipes that make use of bee pollen, head over to this website. Bee pollen is good for the female reproductive and immune systems.